Don’t you just love watching robins in the spring? They are always so busy gathering supplies for nests and hopping in puddles. 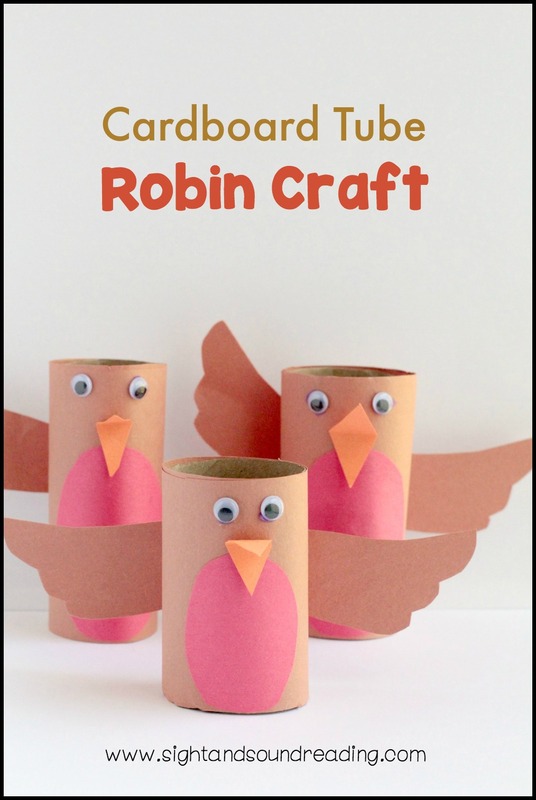 This fun cardboard tube robin craft can be used for a bird theme, a spring them, an “R” theme, or a “B” theme! There are so many fun ways to use this craft idea in early education lessons. Kids will love that the wings on this robin really flap! 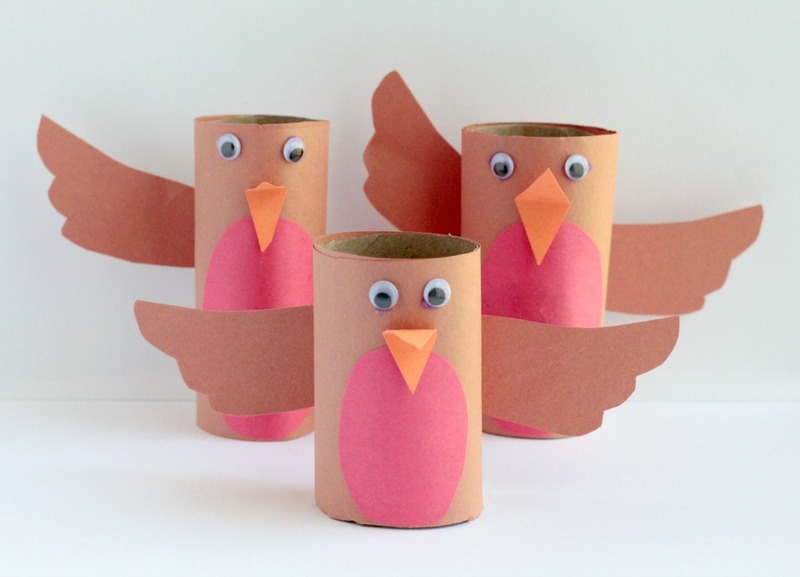 We made our cardboard tube robins by cutting a paper towel roll into three pieces, but you can also use toilet paper rolls to make these robins. 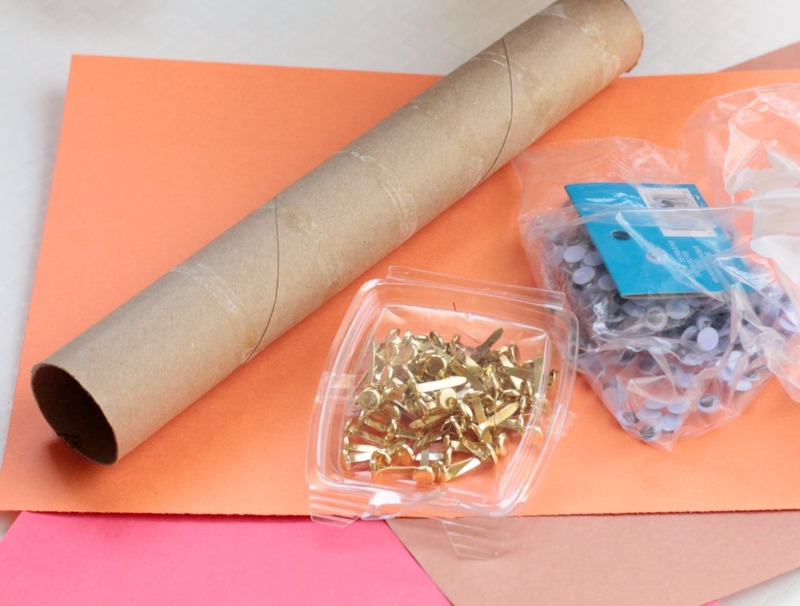 I chose to use paper towel rolls because you don’t have to collect as many, but you can find large quantities of cardboard tubes very inexpensively at most craft stores or online. 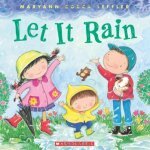 Anyway, before we begin, here are a few spring related books that will go great with your cardboard tube robin craft. First, cut your tubes into the right size if you’re using paper towel rolls. You will need one roll per child. 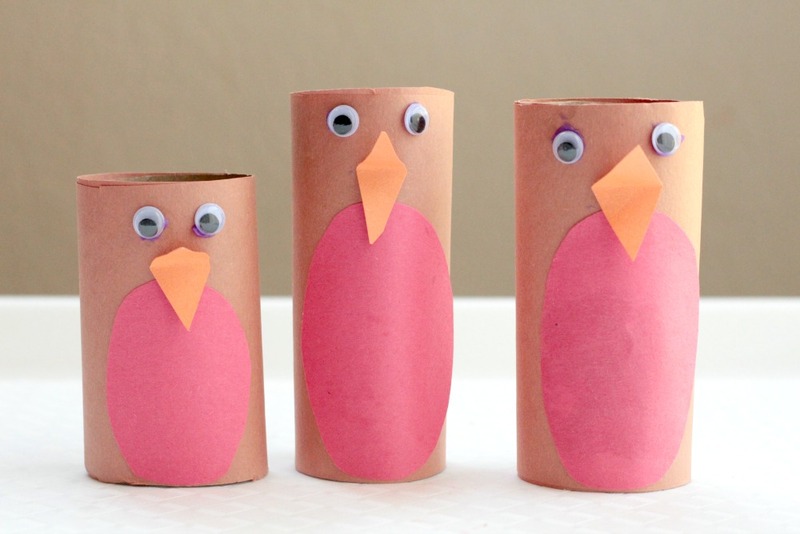 Cut strips of brown paper to wrap around each roll. 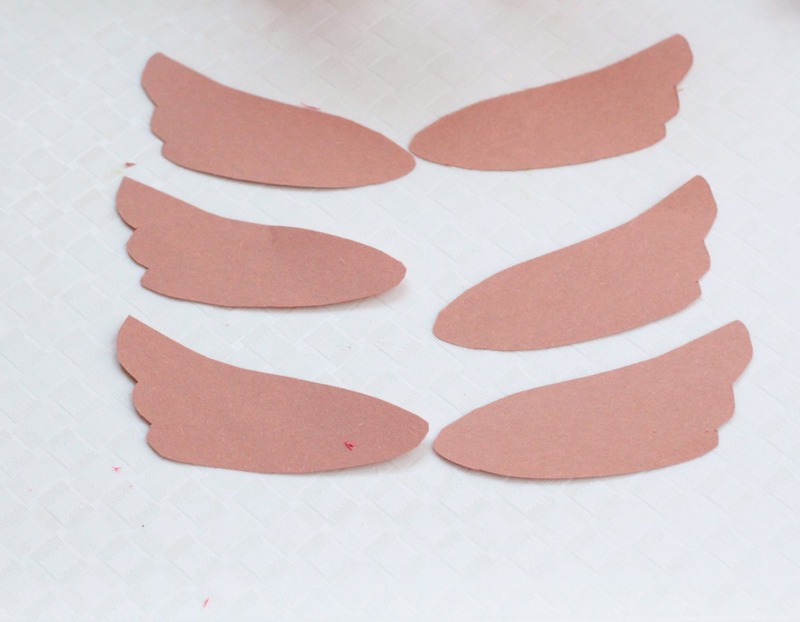 Cut out a little oval for each bird’s tummy and a little triangle beak. 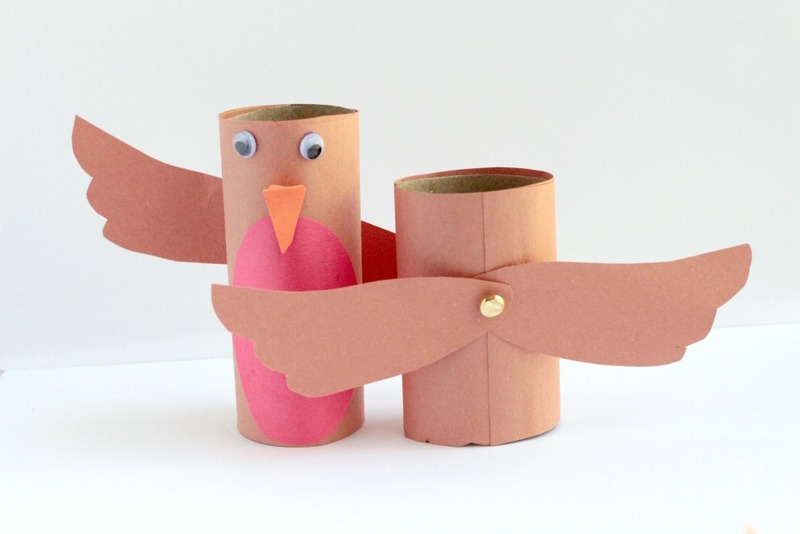 Let the kids glue on the brown paper, beak, eyes, and tummy onto their birds. Cut out two wings for each bird. Layer the wings on top of each other so that the brad can pierce through both wings. Poke the brad through the wings and the back of the robin. Open the brad on the inside of the cardboard tube, but let it sit slightly loose so that it is easy to move the wings. The wings can now flap up and down like a real bird! Kids will have tons of fun flying their robins around the classroom. Can the robins catch worms like real robins do?